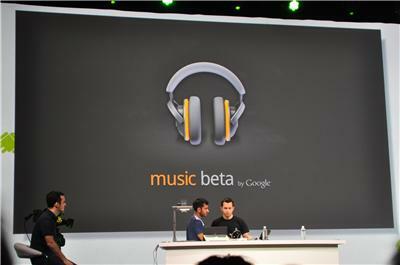 While the news broke last night, Google officially announced its cloud music player ‘Music Beta’ this morning at Google i/o, rolling out to US users today. With Music Beta you can add up to 20k songs to a full featured music manager on the web and sync to your phone, all for free while the service is in beta. Google’s Paul Joyce revealed that the Music Beta killer feature is ‘Instant Mix,’ Google’s version of Genius playlists, where you can select a song that you like and the music manager will create a playlist based on songs that sound similar. Music Beta automatically caches music on your phone, and you can select albums, artists and playlists to pin (or download to your phone) for offline listening.